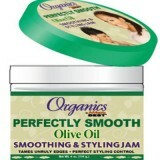 Whether your hair is naturally curly, chemically straightened or permed, you need to use the right products. Healthy hair has the right amount of moisture and strength. Check out our range of moisturisers, curl activators and leave in conditioners all designed to feed and nourish your hair. 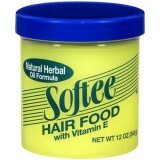 Argan oil, liquid gold is widely used by Moroccan women for skin, hair and nail care and has been so..
Softee Hair Food is a light, non-greasy treatment enriched with natural herbs, wheat germ oil, Vitam..
Keep your hair extra soft, smooth and silky straight with this feather-light formula. 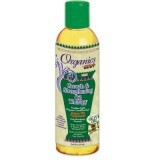 Africa's Best ..
Africa's Best Organics Growth & Strengthening Oil is enriched with ARGAN OIL. It helps pro..
Africa's Best Organics Olive Oil Cream Therapy revitalises dry itchy scalp that tames..
A firm hold gel for men infused with protein to strengthen the hair shaft. Leaves a semi-gloss finis..
An optimal medium hold styling aid for men that controls tight curls, leaving hair manageable and fu.. 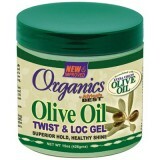 Prevents dry itchy scalp which helps control dandruff. 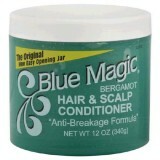 Blue Magic Bergamot is an effective condition.. 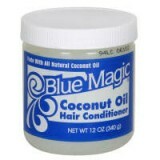 This moisture-resistant formula from Blue Magic will give a special lustre to your hair & help p..